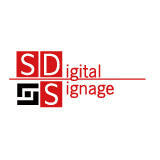 "International Printing & Publishing Industry Trade Fair"
Shanghai International Digital Signage Technology & Application Exhibition boasts of being the most competitive digital signage exhibition across Asia. The event is the must-attend show for digital industry stakeholders showcases product from Electronics & Electrical Goods, Printing & Publishing to Telecom Products & Equipment and those related to Media & Advertising industries. 5 09 Mar 2019 PETAR PETROV Manager at TRIMIX.BG Ltd.
Everything was on high level. Sponsorship of transportation and hotel accomodation was important for overseas visitors. Great thank you. Profile for exhibit includes Digital Proofing, Ink-jet proofing, Laser proofing, CTP Platesetter, Photosensitive, Washing Out Unit, Digital Press, Digital Press, Black and white press, Color press, Post press, Cutting & Binding machine, Software for color manage, Digital camera and raw material, Digital colour separation, Colour scanner, Imaging processing, Digital printing machine, Digital camera, film processing, Adhesive tape, plastic film and materials. Regal International East Asia H..